Neteller affiliate program is a great way to earn another commission stream with your players. Neteller Affiliates is the payment affiliate program for the ewallet Neteller. 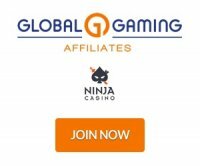 The affiliate program offers a 20% commission on every deposit made for gambling, retail and financial services & prepaid cards. If you are referring players to gamble online at casinos, sportsbooks and poker rooms, you can earn extra commission if you encourage your players to use a safer method of making payments like Neteller. Players usually get player payments made faster with ewallets whereas traditional methods of bank wire and checks-cheques typically take over a week or longer. Neteller's parent company NETBANX was founded in 1996 with Neteller itself launching in 1999. The company was listed on the London Stock Exchange as NEO and has been listed since 2004. The company has since renamed itself as Optimal Payments PLC and is listed now as OPAY. Neteller is best targeted for players in the United Kingdom, Europe, South America, and Asia, and accepts but has restrictions on users from the United States or Canada. To acquire everything you need from links, graphics, images, logos, icons and banners simply email affiliate@neteller.com and your assigned affiliate manager will help you with everything you need to recommend Neteller to your players. Neteller is one of the top 3 payment methods for players alongside Moneybookers and PayPal. Neteller is also one of the most common ways to receive affiliate payments. Your UK, European and worldwide players will appreciate the security in making payments plus the speed of receiving money. The Neteller prepaid MasterCard allows players and affiliates to receive money in their account and have it quickly transferred to their debit card to spend almost instantly or to withdraw money.